Crowdfunding complex hardware is risky business, and it seems that risk is something backers of the Kreyos Meteor smartwatch are becoming all too familiar with. 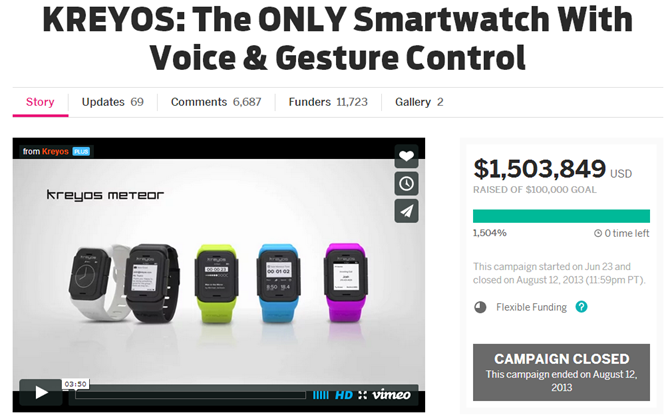 The Kreyos smartwatch (red flag #1) began as a flex-funding campaign (red flag #2) on Indiegogo (red flag #3) in July of 2013. After raising $1.5 million - $1.4 million more than their original goal - Kreyos set to work creating its seemingly well-funded, purportedly unique product. The company promised early backers would see their watches by November of 2013, just 3 months after the end of the campaign (red flag #4). When November had come and gone, backers started getting suspicious. Fast forward to July 2014, and backers still hadn't received their watches. In fact, up until a few short weeks ago, Kreyos had yet to ship a single device. Now that the watches are shipping, backers are quickly finding that the Kreyos is, for lack of a better insult, a steaming pile of smartshit. Two of the project's backers, Andrew Wright and Kenneth Larsen, have penned something of a manifesto calling out Kreyos' many (and trust me, there are lots of them) failings, and the company's increasingly hostile stance toward the people who made its product possible. Allegations range from retroactively changing the terms and conditions of purchase to preclude refunds for IGG backers to daily purges of negative comments on the company's Facebook page (though there seem to be plenty of them at the moment). Most complaints are from backers who have yet to receive their devices, and it appears that, so far, Kreyos hasn't even managed to ship to its first 5,000 customers. The other complaints are from people who have received the watch, and those complaints are arguably far more damning. 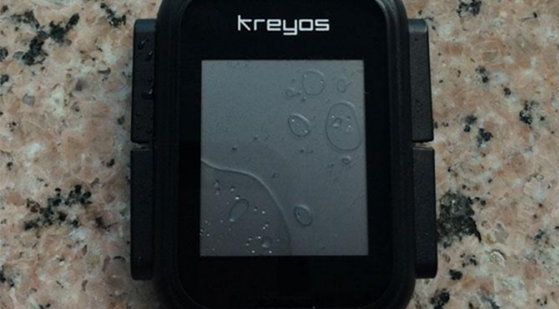 Kreyos claims its smartwatch is waterproof to 5 or more meters. It has apparently failed to survive shallow immersion or even a quick shower. Kreyos quickly rebutted that this was a defective batch and that the units would be replaced. The watch's built-in pedometer is apparently rendered totally inaccurate because the Kreyos' vibrate function constantly activates it, making it functionally useless. Kreyos promised battery life around 7 days, but most users are seeing 24 hours. Of the company's three stretch goals - a gamification platform, sleep tracking, and gesture control for PC apps - zero have been met. The watch itself doesn't even seem to support gestures (it does not have a touchscreen), despite Kreyos originally promising otherwise. Kreyos has announced that despite the myriad uses to which they illustrate the watch being put, the device’s storage will only permit a single app (e.g. for a sporting activity) to be installed to it at a time. 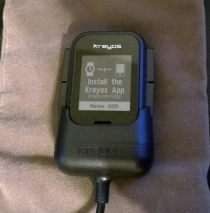 “Kreyos Meteor can keep time even when disconnected from your phone. Kreyos Meteor also has inbuilt “widgets” that comes included. It works independently WITHOUT any smartphone connected.” Users report that the watch fails to keep time unless it maintains its Bluetooth connection to the smartphone. One user’s watch was still showing the time from the previous night until he re-paired it with his iPhone. This is a fundamental failure for a watch. Ouch. Kreyos has also yet to release a promised Windows Phone companion app or even a developer SDK, despite the company's claims that much of the campaigns extra money went into software development (incompetent development, I'd guess). Of all the things Kreyos has done to alienate its backers, though, its backpedaling on refund policy has clearly incited the most rage. After requests for refunds prior to order fulfillment began pouring in from IGG backers (who wouldn't want a refund on a product over 6 months late? ), the company amended its terms and conditions to retroactively preclude those backers from refunds. Its new refund policy, published some time in July, now expressly states that IGG backers are ineligible for refunds. Previously, the T&C stated that backers would have to RMA their watches upon receipt to obtain a refund, and that policy was put in place only after the company had already refunded a great many backers. This policy was clearly put in place because Kreyos is running out of money. If it can't afford to at least ship its barely-working watches to backers, it faces potential legal action. Kreyos itself hides behind a veil of anonymity, with co-founder Steve Tan being the only identified member of the company's leadership, and he has a prior work history of apparently nothing. Here's Steve with his totally-not-upsetting-to-every-one-of-his-backers Ferrari. Update: This article previously showed two images of Kreyos co-founder Steve Tan with a Ferrari and some shopping bags. Steve reached out to clarify that he did not, in fact, take those pictures after the Kreyos' IGG campaign, but way back in 2010 on a holiday in Italy with his friends, and that the images had been pulled from his Facebook. The Ferrari is a rental, a statement supported by the fact that is has Italian plates. So no, there is no visual evidence suggesting the possibility that Kreyos' funds were misused. Of course, it's entirely possible that Steve is an independently wealthy materialistic jerkface, but hey, when your crowdfunding project hits 15 times its original goal, wouldn't you treat yourself to a 458? Come on, it's totally a #basemodel. Ferrari doesn't even charge for red. And yes, this is utterly circumstantial evidence, but it's also hilarious and sad, so I'll allow it. So, if there's a lesson to be learned here today, it would seem to be this: crowdfunded hardware remains a perilous investment, and one that you should probably consider seriously before taking the plunge. If a company isn't willing to be completely up front and transparent with how its campaign funds are used, who is in charge, or provide a realistic ship date (3 months is not realistic for a smartwatch on a budget of $1.5 million, sorry), you could get seriously burned.